CooksRecipes has quality, kitchen-tested pork recipes for skillet dishes that you can count on for successful deliciousness. 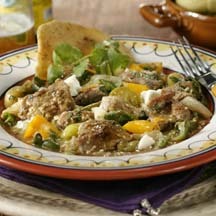 Green chiles and tomatillos simmer with pork cubes for a classic Mexican stew. This deeply-flavored chile stew is typically served over potatoes or rice. 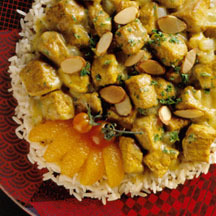 Accompany this delightful pork curry dish with warm flatbread, Corn & Cumin Raita and Mandarin Salad with Candied Almonds. 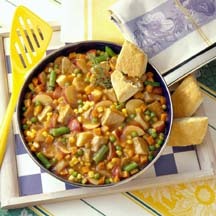 A simple one-dish meal that is completed with a salad and hot biscuits.